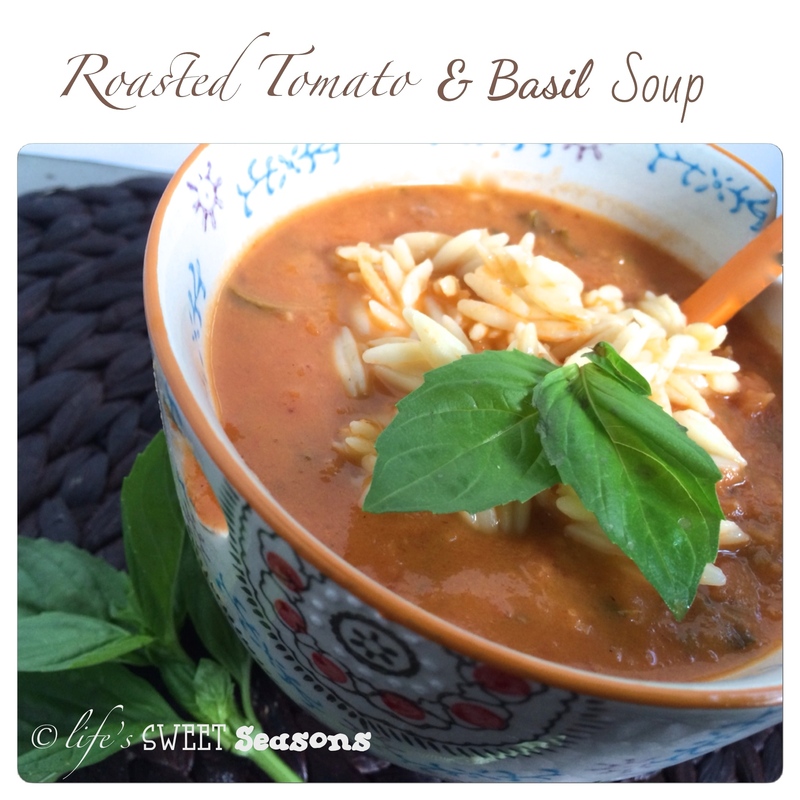 I LOVE tomato soup and always have, but I had never had tomato basil soup until moving to Salt Lake City. Probably because Arizona and southern California seldom get cold enough to truly enjoy a hot cup of soup with a sandwich. It was my first year working in SLC and my third grade teaching team planned to take me to lunch for my birthday. The only problem was that a storm was coming that was going to be a white-out. Exciting stuff, if you would’ve asked me. Enough snow that you couldn’t see a three feet in front of you? Awesome! And everyone being forced to leave work early to get home? Double bonus! The girls took me to a little mom and pop cafe that was known for its soups and sandwiches. I had tomato basil soup as per Jessica’s suggestion. Mmmmm…It was amazing. Naturally, the weather helped to make it even more perfect. Sadly, they closed the store but I was able to satisfy my craving after discovering Cafe Zupas. Man oh man, I can’t say enough about Cafe Zupa’s either. 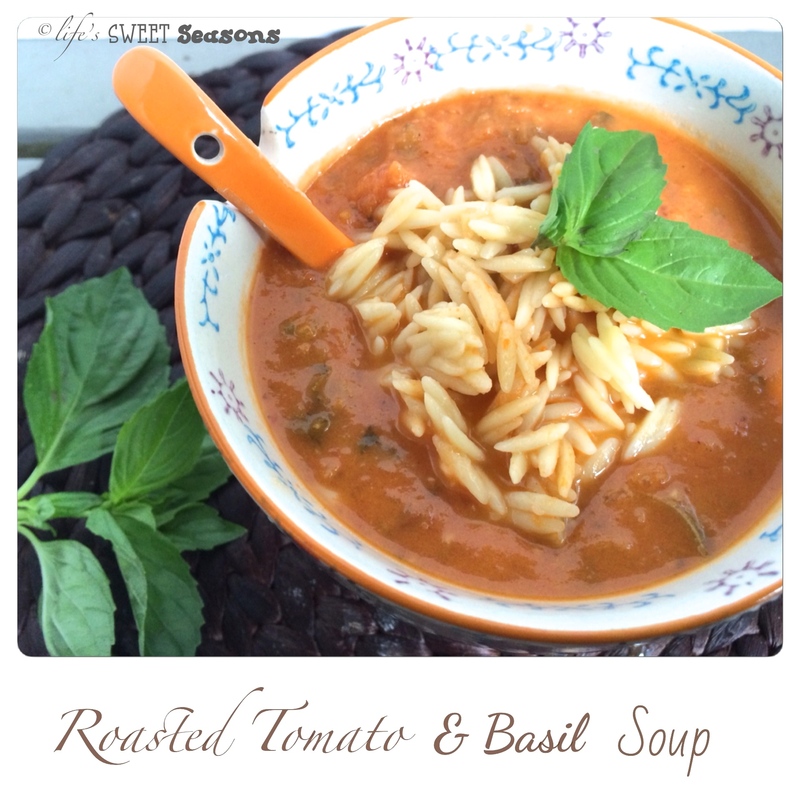 One thing I love that they do is offer to add orzo pasta to your tomato soup. I wasn’t too sure, but after trying it, it’s kinda hard to go back. It adds a little texture to the soup and makes it even more delicious. I like to cook it in chicken broth so that the pasta soaks up some of that chicken flavor. During one of my days off I selfishly took the kids to the daycare anyway, went and got a massage, followed it up with a soup and sandwich combo at Cafe Zupas (a slow, quiet lunch while reading my Kindle and occasionally looking up at the snow covered Wasatch front) and then took a nap. It was an amazing day. Preheat the oven to 400 degrees. Toss tomatoes with olive oil, salt & pepper. Spread the tomatoes on a baking sheet cut side up and roast for 45 minutes. In a large pot over medium heat, add the olive oil and butter. Sauté the onions, garlic & red pepper flakes for about ten minutes or until onions start to brown. Add canned tomatoes, basil and 4 cups of chicken broth. Add the oven-raosted tomatoes, with the liquid from the baking sheet. Bring to a boil and simmer uncovered for about 40 minutes. Boil 2 cups of chicken broth with 2 cups of water in a small saucepan. (You can even use Caldo de Pollo or other chicken bouillon) Add orzo and cook according to package instructions (about 9 minutes) and strain, set aside. Use an immersion blender to blend soup to desired consistency or blend in a blender in small batches. 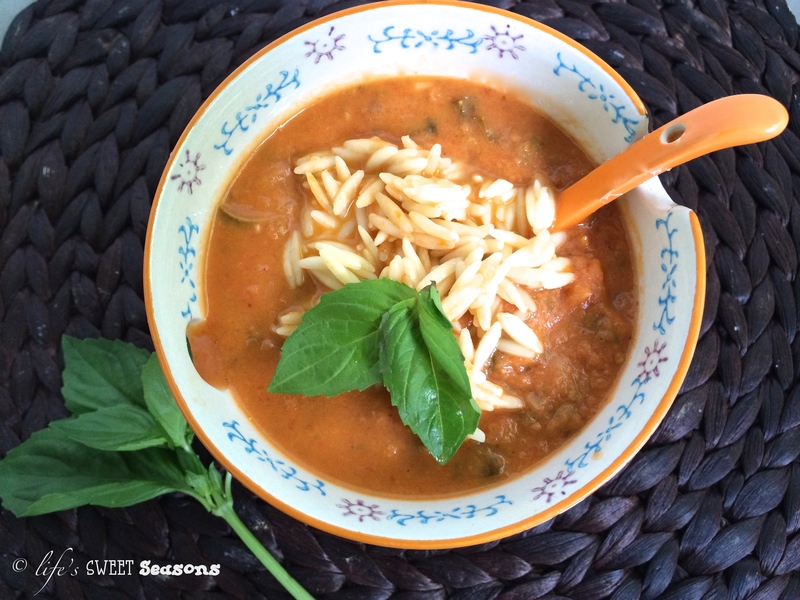 Serve soup with a scoop of orzo and a sprinkle of fresh basil.